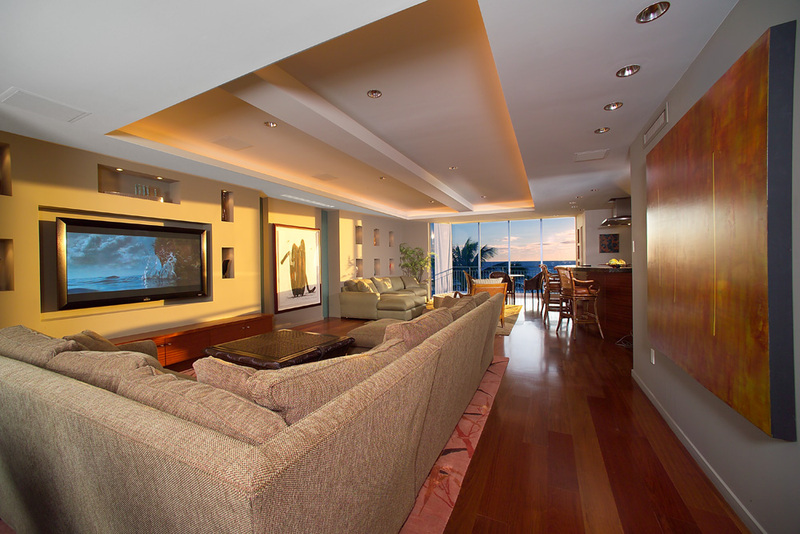 We are in the process of totally remodeling the interiors of several apartment properties in Honolulu. Individual apartments on Waikiki beach and the Gold Coast area of Honolulu are in a very special location and are now excellent properties to modernize and improve. Interior designer Loren Eckelberry and I provide a total service of interior architecture, interior design and furniture selection to update these ocean-front homes. The homes are being remodeled in a contemporary style that is inflected by island-style materials and furnishings. High-end appliances are seen side-by-side with exotic wood cabinets and view windows overlooking the surf. It’s a great pleasure to be working in the Hawaiian Islands because the locations are so attractive and the people we work with are so friendly. These projects enable us to bring a sophisticated mainland and European design sensibility to these projects that now cater to customers that have homes around the world and wish to have a particular Hawaiian feel to their properties in Honolulu. The very latest in German plumbing fixtures are utilized in the bathrooms and the kitchens are built using the best of American appliances. The finishes show a refined choice of materials that are understated and luxurious at the same time. We are so excited to be bringing our talents to bear on these exceptional properties!